Thank you for joining us for the Tag It Challenge and we hope you will all join us again this week too. This week we are challenging you to make create a city scene! What does your nearest city look like? Does it have lots of high rise buildings and lots of traffic? There are so many products that you can use to build your cityscape, we can’t wait to see your interpretation of this theme! 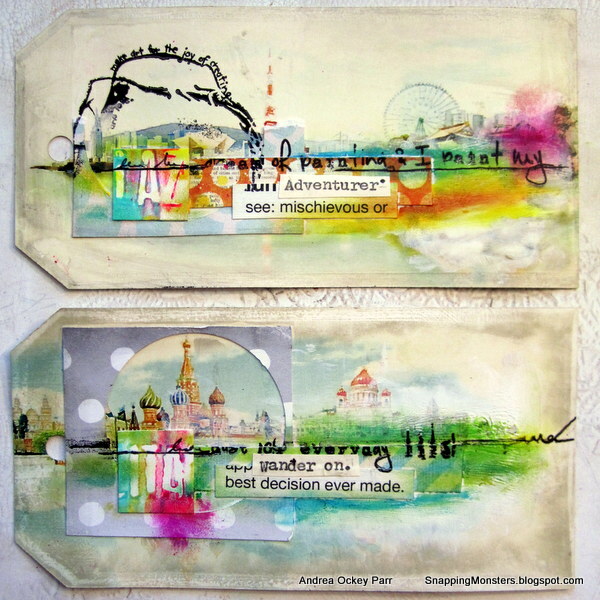 Andrea made travel-themed tags out of some cityscape postcards from Altenew’s gorgeous Reflections Scrapbook Kit. 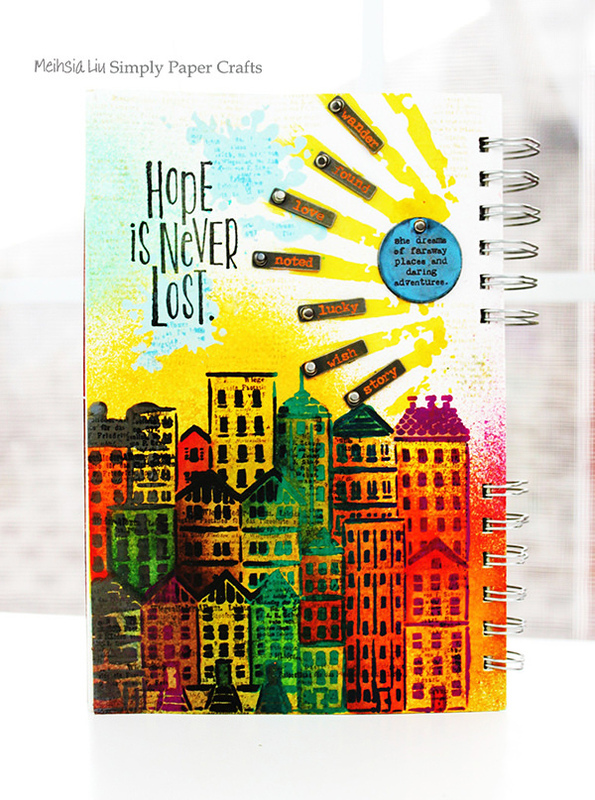 She gave them some added oomph using AALL & Create’s Border 26 stamps and Prima’s Oil Pastel Crayons. 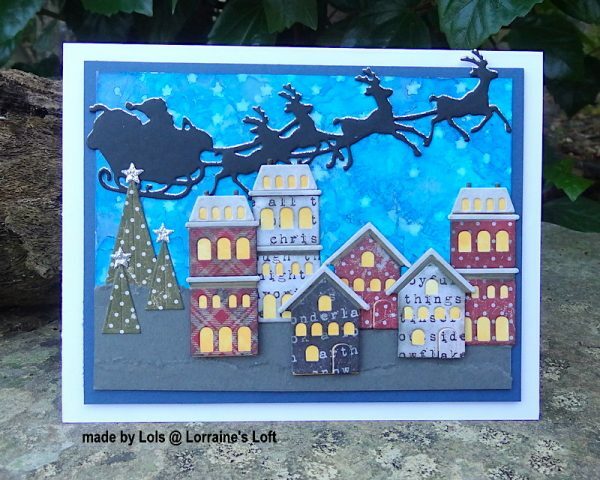 Anna-Karin made a tag which started out as a Christmas tag and ended with a night-time cityscape. 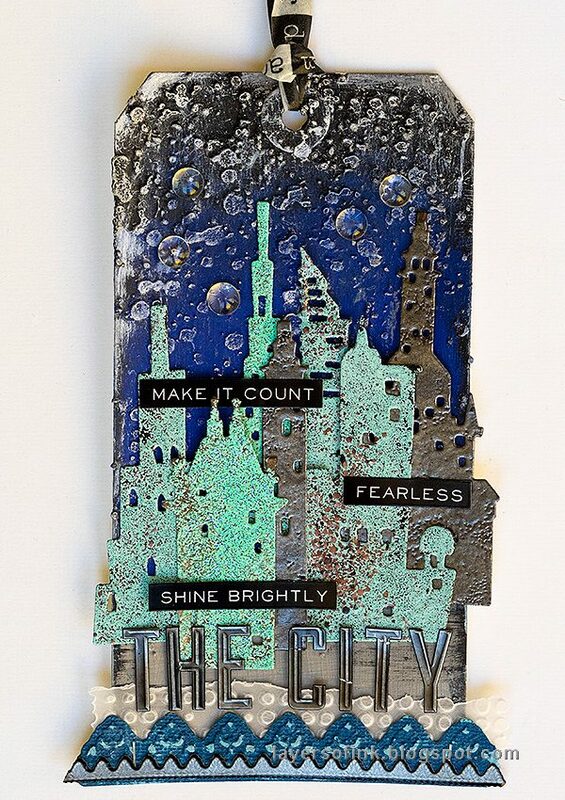 She used Tim Holtz Sizzix Cityscape Metropolis for the buildings and embossed them with Ranger’s Gunmetal, Mixed Media Sea and Aqua Tinsel powders. In this period Barbara only thinks of Halloween! 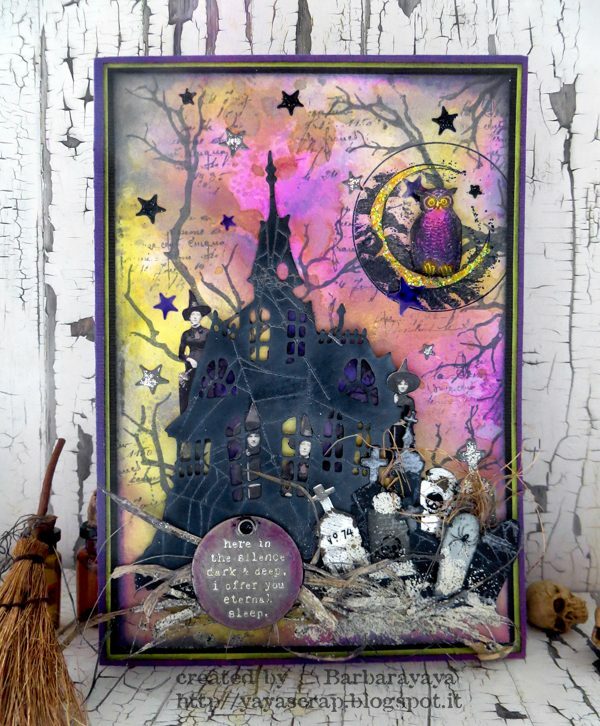 She created a themed Halloween cityscape with Tim Holtz Sizzix Haunted House, Tim Holtz Stampers Anonymous Mr Bone, Tim Holtz Idea-ology Halloween Quote Tokens and Distress oxides. 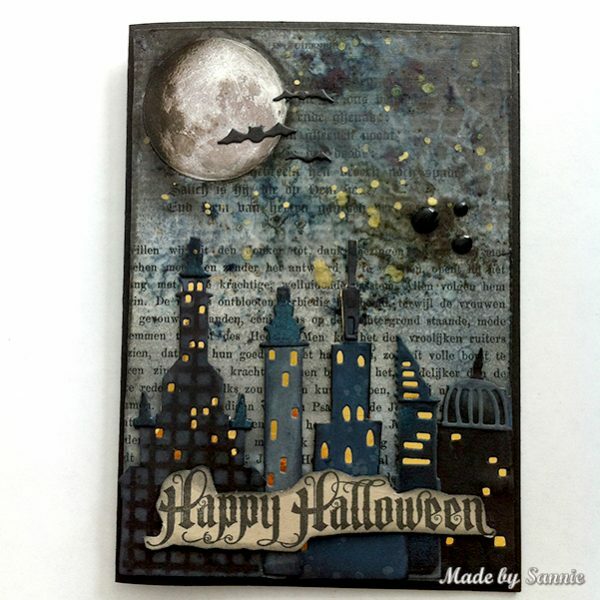 Cheiron created a Halloween scene in the city using the Tim Holtz Swirling Stars Thinlits and Citiscape Metropolis Thinlits. She gave it a fun and spooky touch with a ghost from Halloween Hangouts Thinlits and a sentiment from Halloween Shadow Script. 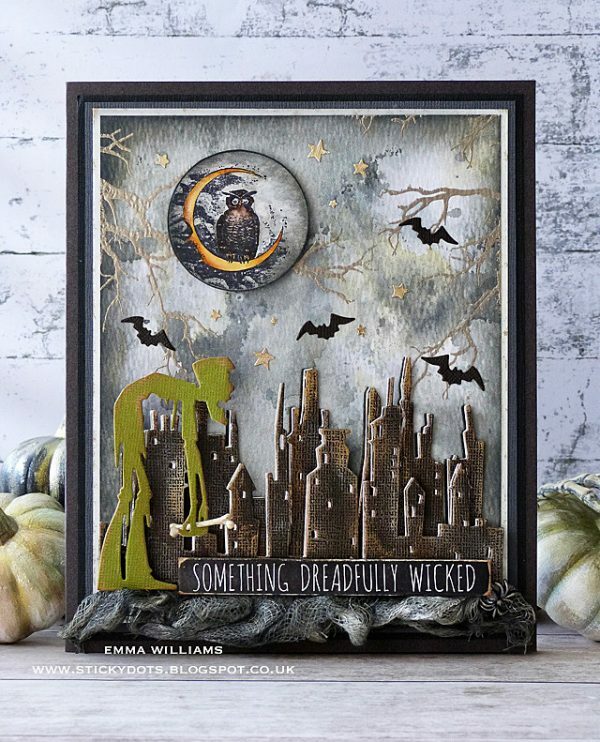 Emma created something dreadfully wicked for Halloween and made a party invitation using Tim Holtz’s Cityscape die, combining it with the zombie from the Ghoulish Die Set and completing the scene with the owl, taken from the Mr Bones Stamp Set. 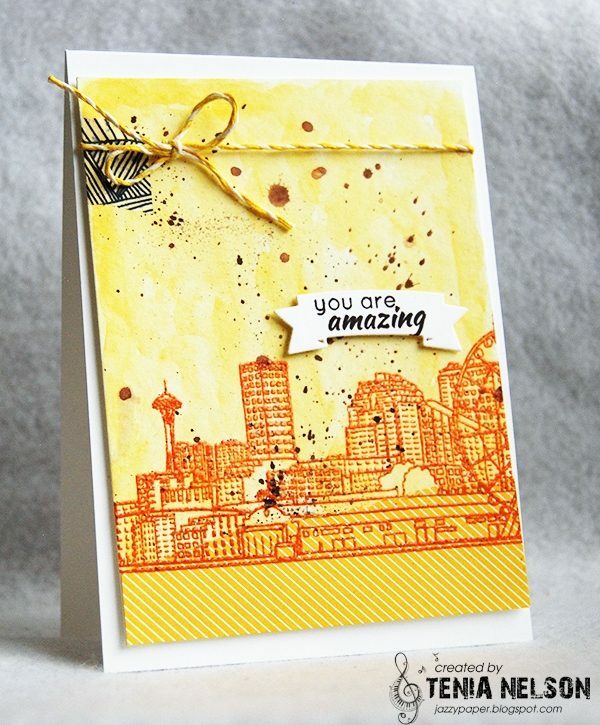 Macarena made a cozy city scene with the background embossed with Carabelle Studio Texte Grunge embossing folder. 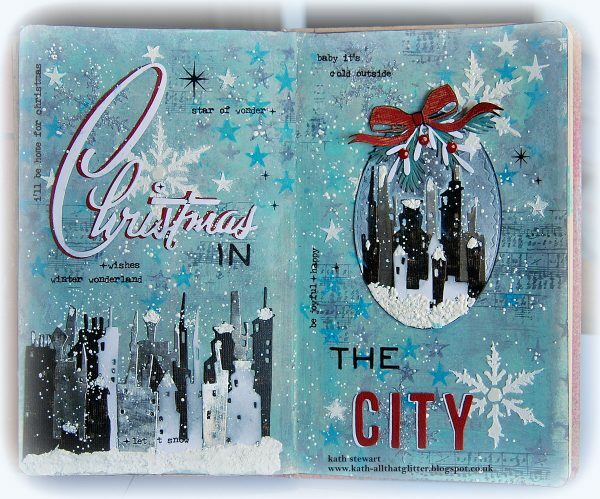 The buildings from Tim Holtz Sizzix Cityscape Skyline and Tim Holtz Sizzix Snowglobe dies were covered with Ranger Rock Candy Distress Crackle Paint. 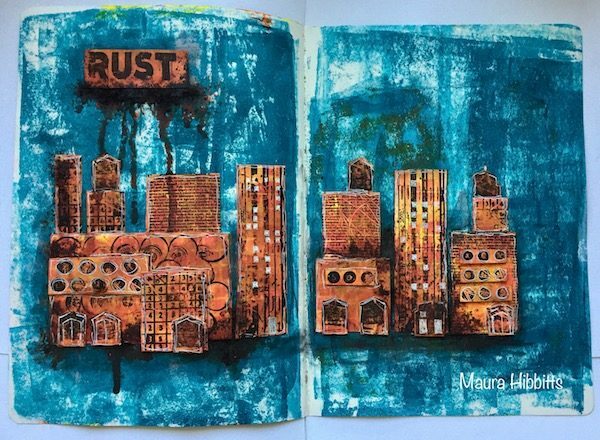 Maura created her own rusty cityscape using Seth Apter’s Paper Artsy 09 Eclectica3 and 10 Eclectica3 stamp sets, along with the Simon Says Stamp Grid stencil. 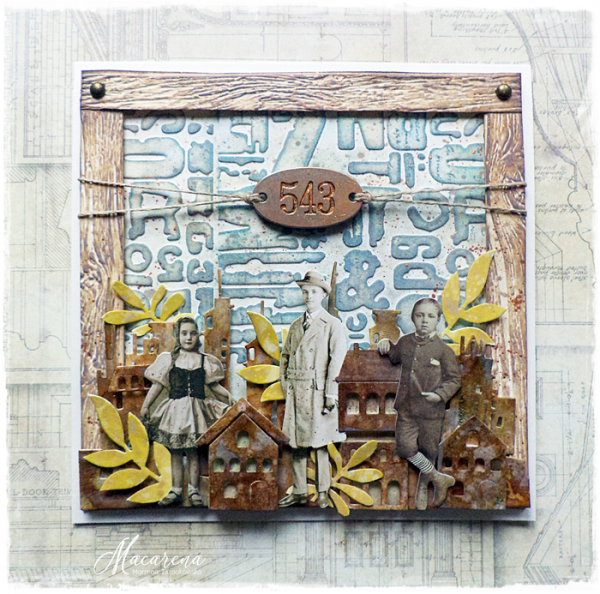 Meihsia was inspired to create a mixed media art journal page with The Crafters’ Workshop Small City Buildings Template and decorated it with Tim Holtz Idea-ology Story Sticks. 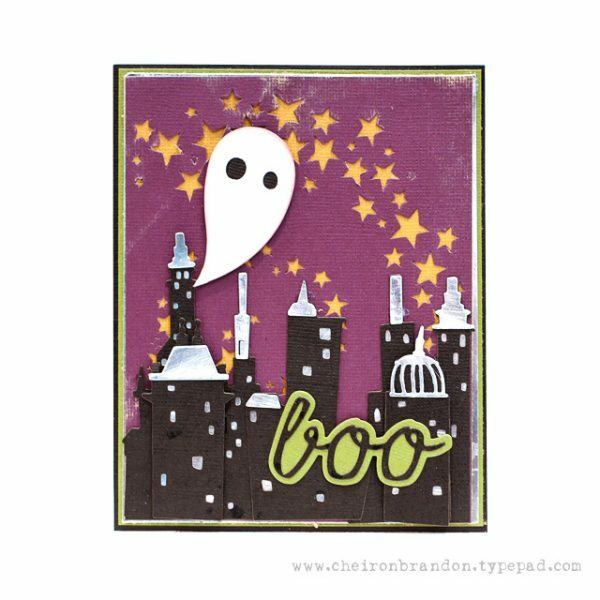 Sandra is in full Halloween mode so she made a spooky card using the Cityscape Metropolis die set. 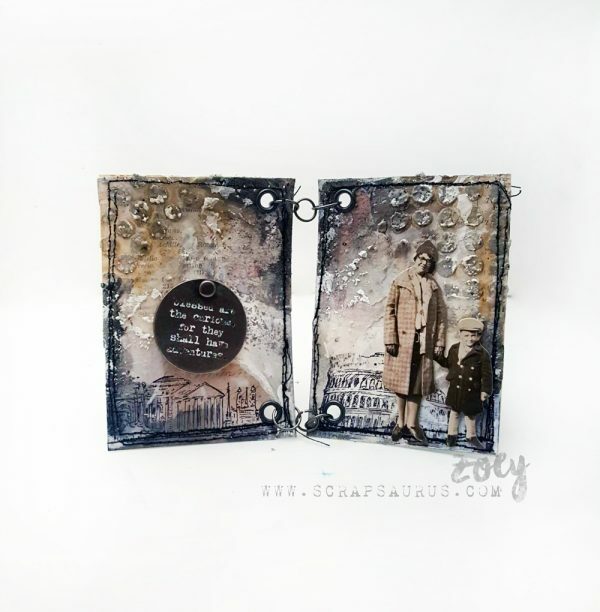 For her background she worked with Distress Ink and Oxide and the Shattered stencil. Amazing creations by The Design Team!!! Thank you for the new challenge- Thanks DT for inspiration -= have a lovely week! Beautiful design work by all. Thank you for the challenge.